I feel like watching the Raiders in a football game is about a half a step above watching the Baltimore Ravens – how did these teams even exist? ‘Exist’ as teams that people thought were playoff worthy after two weeks. How do they even win any games? The Ravens-Raiders game from a couple weeks ago was absolutely dreadful football. Jack Del Rio has to be in massive trouble in Oakland. He’s a cautionary tale in the NFL. Something that happens all the time – the new head coach comes in and with the right/favorable schedule, a lucky bounce of the ball early in the season to get some momentum…a hot start/season happens and everyone goes crazy thinking the new coach is some kind of mad scientist; a Savior. Everyone’s out of their mind because this team with lower expectations (thus a newer head coach) has a better than media-expected season and that suddenly makes them a genius. The question on these coaches that have great seasons out of nowhere – do they follow it up the following season? Ben McAdoo couldn’t/got exposed. It looks like Dan Quinn is getting exposed. Jack Del Rio is being exposed. I’m sure all these guys know all the football terminology. I’m sure they know how to structure a practice. I’m sure they have many contacts within the league to build staff or replace staff. They have a resume of experience that seems like it matters…except it doesn’t. They’re functionally fine but they are not building any dominance. They’re the same people coaching the same way as the people before them and randomly having good and bad years before the randomness catches up with them and people realize they’re not very good at what they do, and they’re ushered out the door. It happens time and time again. You can count the consistently great NFL coaches on one hand…if that hand lost a few fingers in a tragic sawmill accident. The Raiders are done. They made no improvement in their defense... a bad 2016 defense has gotten worse in 2017…despite a ton of individual talent. Now, the offense has been figured out and is going into the tank. A big bet on Marshawn Lynch is blowing up in their face on a number of levels. Amari Cooper, maybe the best wide receiver prospect of the past few years has regressed to the point that he may not be back with the team next year. The only thing that’s working with this offense is handling the ball to Cordarrelle Patterson, and as usual NFL head coaches are so dumb they don’t just keep going to that CP-well to bleed it dry. They use it sparingly and when they get the long TD run…they’re not delighted and decide to go see if there are more TDs in that well – they’re satisfied with just the one score and they move on to their other clever plays in their playbook. The Raiders are toast and the issues go from GM Reggie McKenzie on down, but it’s doubtful change will happen until 2019. The Chargers are probably more ridiculous than the Raiders. The Chargers in the hands of a real, quality NFL head coach would be a lock playoff team in 2017. The Chargers have a ton of talent and it’s going to waste in the typical manner of old-school coaches – landing upon a perceived workhorse, in this case one of the worst running backs in the NFL (not saying that just for my own eyes but the yards per carry and negative run percentages back me up), and they run that workhorse into the ground trying to control clock by getting a lead and sitting on it with a lot of off tackle/up the middle runs. The Chargers should be so much better than this but, instead, at home facing a terrible Raiders team with a broken back QB, the Chargers hit a field goal as time expired to win this game. It’s sad. Both these teams are sad and neither will be going to the playoffs this year – although, the Chargers very well could…but Anthony Lynn will ensure it doesn’t happen. — It might be a little to do with his back issue, but there were problems before he hurt his back…Derek Carr (21-30 for 171 yards, 1 TD/2 INT) is plummeting from the level of the elite. I don’t think that Carr was ever as good as the hype was getting, but he’s good…I think this is what happens when bad coaches and their bad game plans affects output. The Raiders have a bunch of running back bodies but really have none. They have a never-consistent tight end. They have one wide receiver they can count on, and he’s more of a possession guy, not a game breaker. The star wide receiver they were counting on can hardly catch a football now. Carr has almost nowhere to throw the football. He’s got the same issue Mitchell Trubisky does -- he knows what he’s doing, but when he drops back to pass everyone is covered. There’s not a lot you can do when everyone is covered. In his last 12 games, Carr is averaging 211.7 yards passing per game. 12 TD passes in his last 9 games. Ouch. 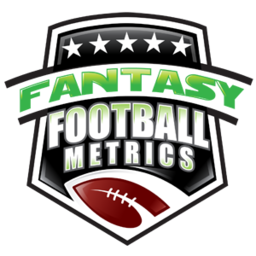 — You want to believe recent trends that Hunter Henry (5-90-0/7) is going to start the matter in Fantasy. After a horrific start of non-targeting this season, suddenly Hunter is seeing legit TE1 targets the past two weeks (8 and 7 targets the last two games). He’s a hot name this week in fantasy. If you are the possessor of Henry, I would advise you to trade him if someone was giving you solid TE1 value for him. I don’t think you can count on the Chargers passing game outside of Rivers throwing everything to Keenan Allen and Melvin Gordon…and then randomly everyone else. Rivers has relied upon the same guys for years. Danny Woodhead used to be in that circle but they took him away, and age is taking Antonio Gates away. Rivers never changes. He randomly uses the other guys as needed but when push comes to shove he’s throwing to Allen or Gordon. It just is what it is. There’s no sense in arguing it. It’s the reason why I have advocated trading Tyrell Williams, it’s the same reason why I advocate trading Hunter Henry if you can. There’s never any real consistency outside of Allen and Gordon. — Because there’s no consistency outside of Allen and Gordon, I would advocate you to trade Mike Williams (1-15-0/1) or not buy into any hype on him. I don’t think he’s that good to begin with but he doesn’t stand a chance being relevant as a rookie with Philip Rivers. Almost every first round draft pick wide receiver of the last couple of years has been an abject failure… Not just a little disappointment but a total bust. There’s not one reason anybody could give me why Mike Williams is so good that the trend of the draft and on Rivers’ tendencies would be broken for him. — I hate typing words about Cordarrelle Patterson (3-55-1, 1-5-0/1) because I know exactly what’s going to happen…nothing. Credit to Oakland for putting him in the backfield as a regular running back. Amazing what happens when Patterson gets the ball as an RB – he scores a TD about every 5–6 carries. NFL career: 41 carries, 6 TDs…1 TD every 6.8 carries. His one college season in the SEC: 25 carries, 5 TDs…1 TD every 5.0 carries. Does anyone on planet earth/the NFL want to start a game plan with making sure Patterson got at least 7 carries in every game? No? Just me? If there was a one in 10 chance that if I bought a scratch-off lottery ticket that I would win a million dollars, I’d buy at least 10 lottery tickets. I wouldn’t just buy one and if it didn’t yield the million just quit and proclaim the lottery is stupid. A one in 10 chance demands that I keep trying. Maybe even past 10 lottery tickets until the numbers fell my way. And if I won the million on my sixth lottery ticket, I’d still keep buying more because within another 10, statistically, I’m going to win another million. So keep those lottery tickets coming. NFL head coaches have completely opposite logic. If they know those same lottery ticket odds, they buy one lottery ticket and if it doesn’t hit the million they’re done for a while. They took a chance and it didn’t work so there’s no reason to keep trying. Next week they might buy another lottery ticket with their morning coffee, but if no million they are either – then…see I told you this won’t work. If they ever to hit the million with their one lottery ticket, well…that’s good enough for them. The very next time they bought a lottery ticket and it didn’t bring another million they’d never play again because they’d just feel lucky to have won that one time. If NFL coaches had the proverbial Golden Goose, they’d kill it for the feathers to make a new throw pillow. I’ve never understood why NFL coaches didn’t gravitate or over-gravitate towards things that were working. If my offense was as terrible as the Oakland Raiders, and yet every six times I give Cordarrelle Patterson the ball he runs for a long TD – I probably give him the ball 5–10 carries a game out of desperation. Not NFL head coaches. The last time Patterson took a carry for a long TD before Week 6 was Week 2. What were his carry totals after that, you ask? 2-1-0 the next three weeks. Three losses…the teams scoring 10-10-17…but they just cannot figure out how to give Patterson more carries. It’s just so confusing no mortal man could ever figure it out. I’d love to see Patterson as a fantasy sleeper but I know this head coach will never wake up to that possibility no more so then I believe Philip Rivers will change his targeting patterns going forward. Rivers does what he does – throws to the same guy and loses a lot, and hard-headed, old-school head coaches don’t believe wide receivers should see 5-10+ touches a game as running backs. *See Andy Reid: A head coach who just saw a historically productive season with Tyreek Hill in 2016 and has decided ‘enough of that’ and dialed it back for 2017... despite spending the entire off-season saying how special Hill was and how much they were going to get him the ball. The coaches never change…the lesson from 2017. It’s been the lesson all along I’m just too hard-headed to believe they’ll keep missing the obvious every day right in front of their face. As dumb as the head coaches are not using Patterson or Tyreek more…I am more dumb for believing they’ll realize it and change. — Check out these Amari Cooper (5-28-0/6) receiving totals past five games… His yards in each game the last five weeks: 33-6-9-8-28. Four years into the league, a top-five draft pick, one of the great college WRs of all time, working with an up-and-coming young QB – and this is where we're at Cooper…a droppable fantasy WR in redraft. I’m not blaming all of this on the coaching staff because most of it could be on Cooper – there could be off the field things none of us knows about…as a possible explanation for this bizarre plummet of performance. Whatever it is, it’s not likely to change until Cooper changes teams or coaches. Something is radically wrong and it’s not getting any better. — The Chargers DST might have some usefulness ahead. They are 5th in the league ins acks and 4th in passing yards allowed per game. They can’t stop the run – 32nd in rushing yards allowed per game. They might work OK against Denver this week. Broncos-Patriots the next two weeks is something to keep an eye on whether this defense is going to take a step forward or not, ahead of their Week 9 BYE.